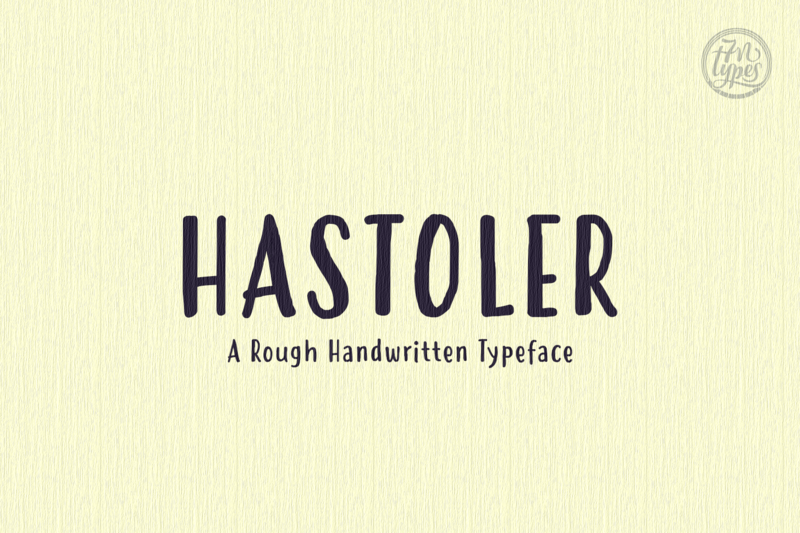 Hastoler is a rough handwritten font with a playful feeling. The inconsistency in the thickness in the letters, combined with the lines that are not straight give this font a fun hand-painted feeling. Because the font has a serif base, it is very clear to read, which makes it a great font for titles or headlines.